At Southern Shores Realty, we know why you vacation. The Outer Banks is one of the foremost fishing destinations in America. We have tons of information below for you to take advantage of; ranging from surf fishing, charter fishing, offshore trips, fishing tips, pier fishing, fishing license information, and bait and tackle shops! 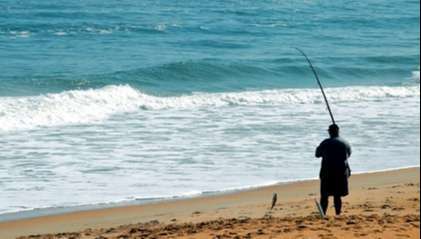 Surf fishing is one of the most popular ways to fish on the Outer Banks. Hundreds of miles of coastline make surf fishing accessible for most visitors here and the ocean cartography here creates the ideal environment for surf casters to catch many species of fish. Looking for a guided Outer Banks fishing experience? There are hundreds charter boats in the area to choose from. Whether it be an inshore fishing adventure or deep sea fishing the Gulf Stream waters, the Outer Banks has the experts to get you to the big fish! Pier fishing is very similar to surf fishing but you have the luxury of being out and on top of the fish you are trying to reach from shore. Pier fishing also gives you the opportunity to target larger fish who swim beyond the outer bar; where the shallower, sandy waters of the inshore end and open to much deeper ocean. 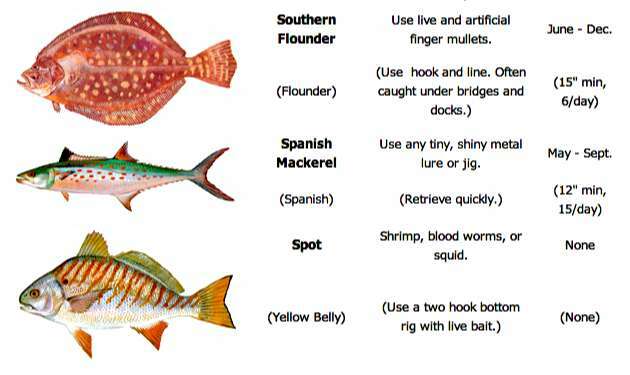 Use this section of our Vacation Planner for finding local bait and tackle shops, size and possession limits, fish ID chart, as well as tips & tricks! The Outer Banks makes the perfect destination for many other ways to fish. 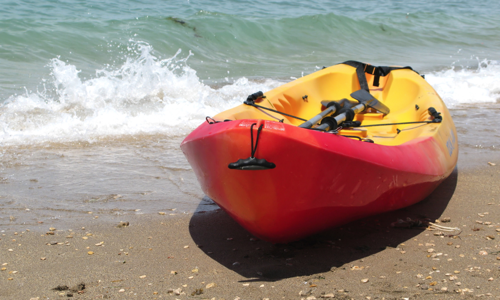 Kayak fishing, bridge fishing, and spear fishing are all very popular and exciting ways to get out and enjoy the fishing environments here!